2012. USA. Arizona. 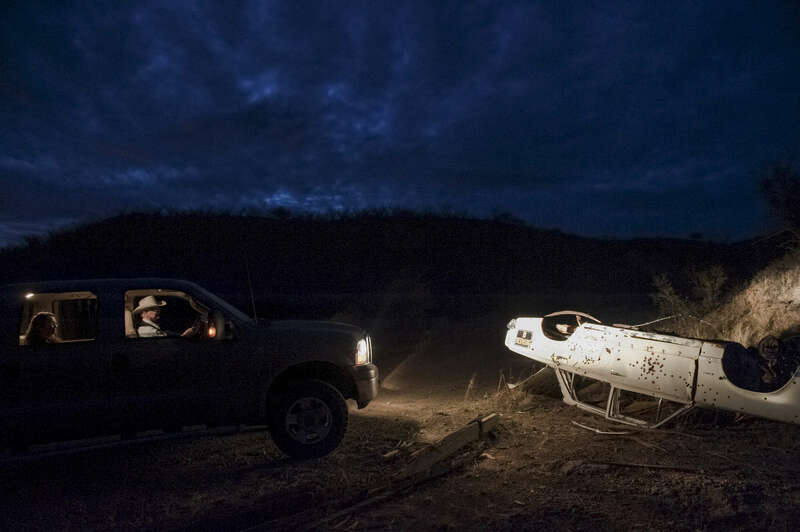 Jim Chilton illuminates a destroyed bullet-ridden car on his land. The car is unconnected to the drug violence to the south, and has been there as a shooting target for years. Chilton carries a six-shooter and two rifles in his car when traveling through his land. His 50,000 square acre ranch has 2000 heads of cattle. Thousands of illegal Mexican immigrants and drug smugglers pass through his land every year. A small barb wire fence is all that separates his land from Mexico.